CDS Manufacturing designed and built this vision inspection system to provide automatic sorting services to a brass insert manufacturer. 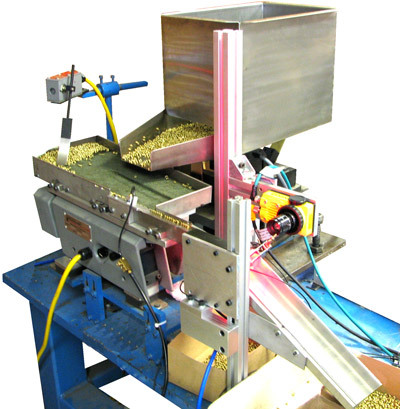 This system utilizes a linear vibratory feeder system and vision system for automated inspection of the head height. Oriented parts are fed past the vision system camera where the head height is measured. Good and reject parts are gated accordingly and exit the system via their respective output chutes.